Welcome to VMware vSphere vCenter Server 6.0 Configuration Maximums test. What is the maximum number of ESXi hosts per vCenter Server? What is the maximum number of powered-on virtual machines per vCenter Server? 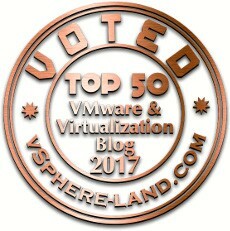 What is the maximum number of registered virtual machines per vCenter Server? What is the maximum number of linked vCenter Servers? What is the maximum number hosts in linked vCenter Servers? What is the maximum number of powered-on virtual machines in linked vCenter Servers? What is the maximum number of registered virtual machines in linked vCenter Servers? What is the maximum number of concurrent vSphere Web Client connections to vCenter Server? What is the maximum number of hosts per datacenter? What is the maximum number of MAC addresses per vCenter Server (using default VMware OUI)? What is the maximum number of USB devices connected per vSphere Client? What is the maximum number of concurrent vMotion operations per host (1Gb/s network)? What is the maximum number of concurrent vMotion operations per host (10Gb/s network)? What is the maximum number of vMotion operations per datastore? 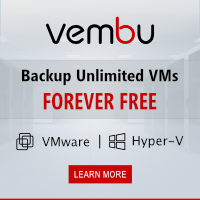 What is the maximum number of storage vMotion operations per host? What is the maximum number of concurrent storage vMotion operations per datastore? What is the maximum number of concurrent non-vMotion provisioning operations per host? What is the maximum number of hosts when using vCenter Server Appliance (with embedded vPostgres database)? What is the maximum number of virtual machines when using vCenter Server Appliance (with embedded vPostgres database)? What is the maximum number host when using vCenter Server Appliance (with Oracle database)? What is the maximum number of Virtual machines when using vCenter Server Appliance (with Oracle database)? What is the maximum number of hosts when using vCenter Server Windows(with embedded vPostrges database)? What is the maximum number of virtual machines when using vCenter Server Windows(with embedded vPostgres database)? What is the maximum number of total content library items per vCenter Server(across all libraries)? 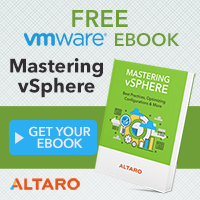 What is the total number of libraries per vCenter Server? What is the total total number of items per library? What is the maximum number of subscribers per library? This limit is applicable to libraries published by vCenter Server and not to third party libraries. What is the maximum number of created host profiles? What is the maximum number of attached host profiles? What is the maximum number of virtual disks per datastore cluster? What is the maximum number of datastores per datastore cluster? What is the maximum number of datastore clusters per vCenter Server?